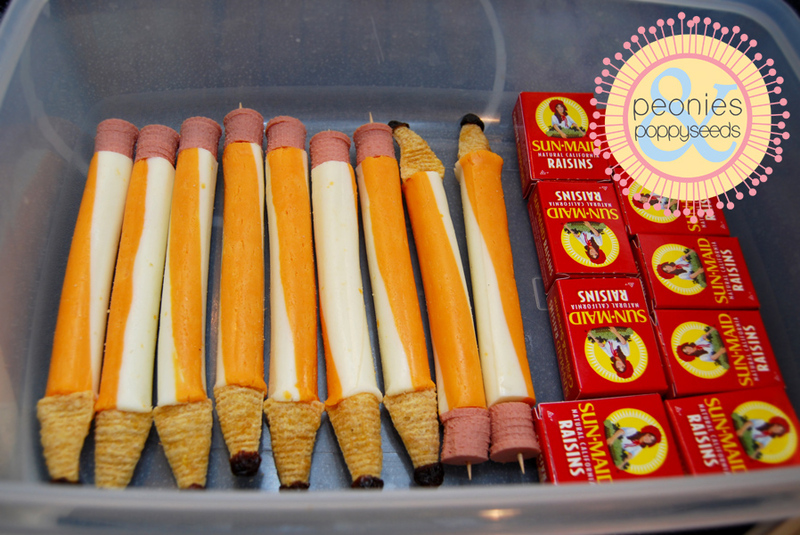 These are great for school snacks or to stick in your kid's lunchbox. And they're really super easy to make. 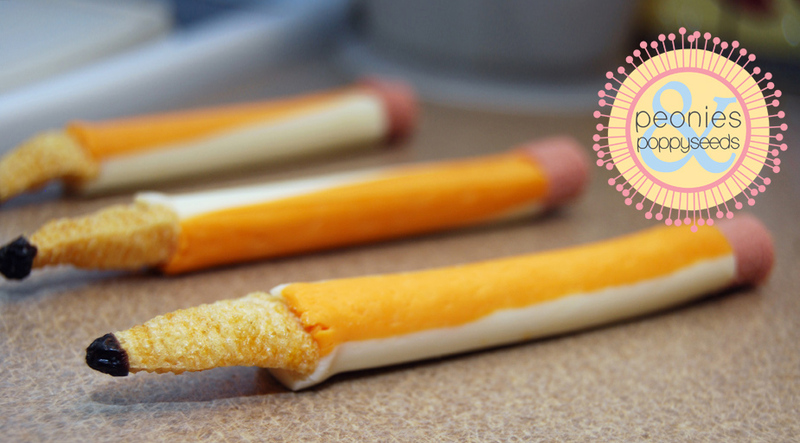 For one "pencil" you'll need a cheese stick, half a raisin, a Bugle, a slice of bologna and a toothpick. Carefully shove the Bugle into the end of the cheese stick until it stays put (but be careful because Bugles like to crumble and stuff). Squish a half of a raisin, sticky side, onto the tip of the bugle. Cut a slice of bologna into little circles. 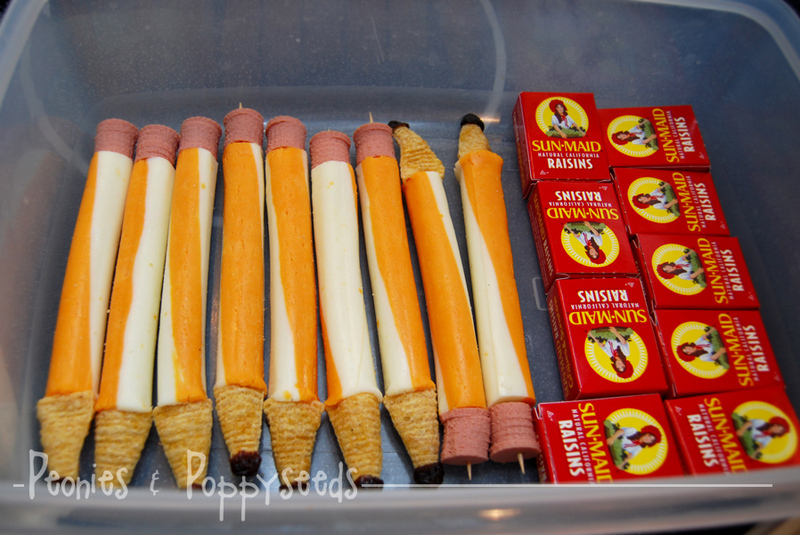 Stack the circles on top of each other and insert a tooth pick through the stack and into the end of the cheese stick. 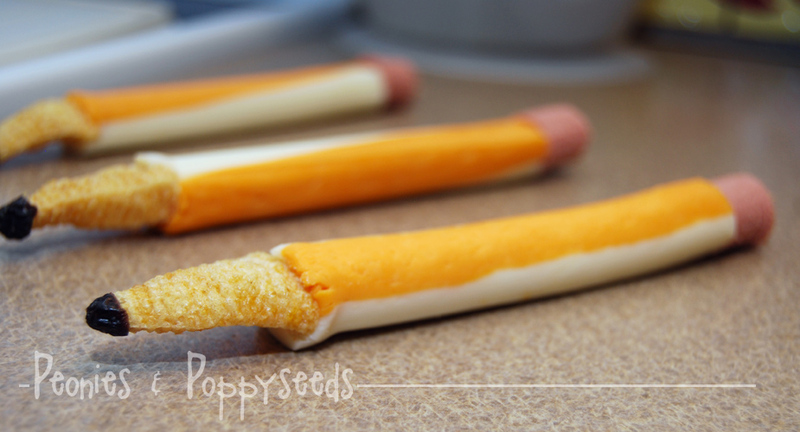 I found the pencil idea here (where they make it a little differently). When I made this for preschool, I threw in little boxes of raisins because they're good for digestion and stuff (and also because that's all we had to go with it - that's how snacks happen at our house).